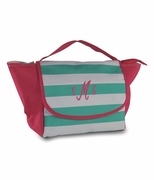 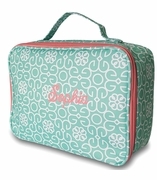 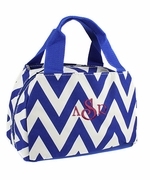 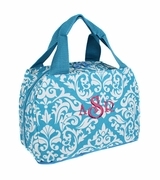 Browse our large selection of Insulated Lunch Bags, with complimentary personalized embroidery or monogramming. 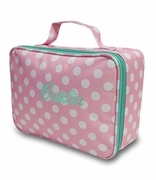 Brown bag lunches are a thing of the past. 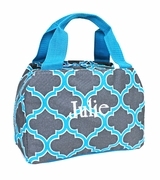 Packing a healthy lunch in a cute, functional and reusable tote bag is the wise thing to do. 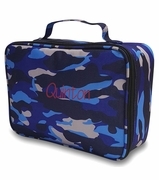 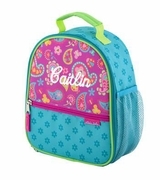 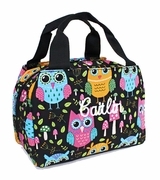 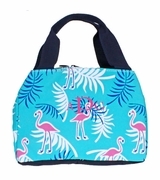 Our children�s lunch bags and personalized backpacks can be found in our Kid�s Bags section. 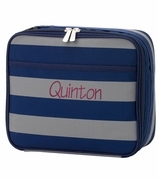 Remember your school days, when lunch meant a small, wrinkled brown paper bag with a sandwich, an apple, and if you were lucky, maybe even (fingers crossed) a brownie for dessert? 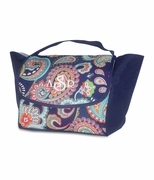 At Simply Bags, we're happy to announce that the days of the brown paper bag lunch are really and truly over. 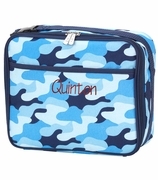 With so much more emphasis being placed on nutrition these days, the modern lunchbox has undergone a bit of a makeover; it needs to not only act as a carry-all, it must also keep ingredients and flavors as fresh as when they were made. 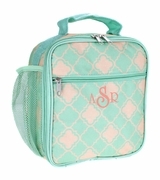 The modern lunch bag has therefore transformed itself into a sleeker, more decorative, and functionally-insulated version of itself. 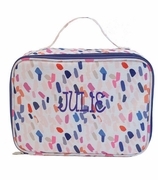 Our personalized lunch bags meet the demands of a more modern lunch crowd; they come in a variety of shapes, sizes, and colors, and there is truly something for everyone. 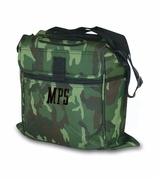 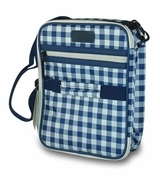 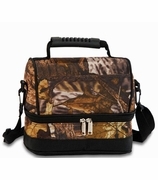 We carry sizes that range from the smaller fold-top lunch bags to the larger, messenger-style insulated bags. 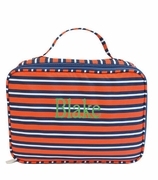 So no matter how big or small your appetite, we can accommodate you. 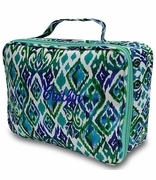 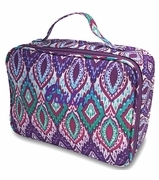 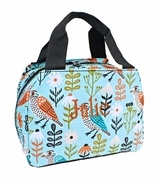 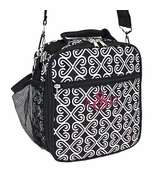 Likewise, we carry a variety of designs; from our quietly elegant Quilted Lunch Tote to the riotous patterns of the Zebra, Paisley, and Camo lunch bags, you are bound to find a design that suits the tastes of just about everyone in the family. 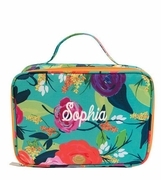 In addition to the variety of styles and patterns we carry, all of our insulated lunch bags are crafted with water-repellent fabrics and insulated to keep the heat, or the cold, from escaping. 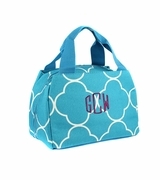 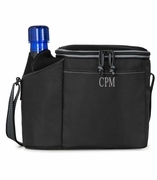 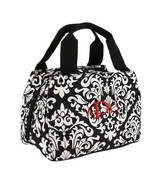 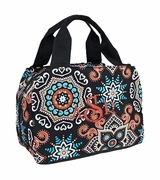 All of our lunch bags, purses, messengers, and totes can be personalized with our complementary embroidery service. 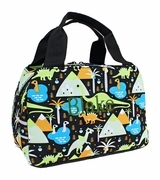 Please note that in addition to the selections below, we have additional children's styles available which can be found by visiting our Kid�s Lunch Bag page. 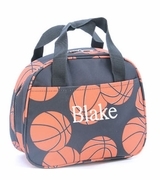 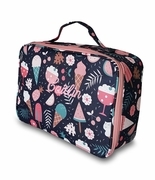 As with our other personalized lunch bags, our kids bags include a wide variety of designs, including some fun patterns especially for children.